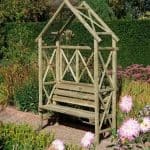 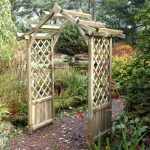 This sturdy Arbour is constructed from pressure treated timber which has a pale green hue working well in any garden setting. 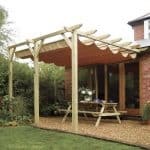 The wood is such that it needs no maintenance and will last for years. 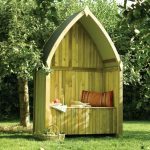 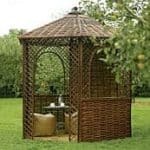 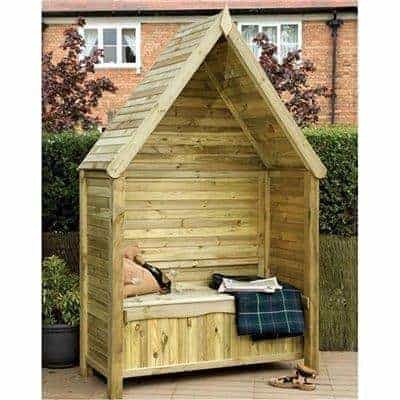 The Arbour itself is very simple in design with a slightly Gothic style pointed roof and has hidden storage inside the seat so it’s useful for light garden items such as cushions and toys etc. 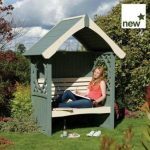 It is a great, comfortable place to sit and will make a beautiful garden feature.